Taobao Version in English! — How to Buy in China, USA, UK, Australia, etc. There is an English site version of the Taobao.com store, that I regularly use. It’s available for both within China and those who are located abroad in USA, Canada, UK, Australia, Singapore, Hong Kong, Korea, Japan, etc. in 2019. The simplest way to get started is by translating the site into English using a third party add-on. Any modern browser will be able to do this for you, but not every solutions is useful. It’s absolutely necessary that the site is translated on the fly so that each page opened is automatically converted to the English version. The easiest web browser is Google Chrome that automatically suggests for you to translate any page that isn’t in your default language. You can also check out these very easy solutions for Mozilla Firefox, Internet Explorer & Opera. 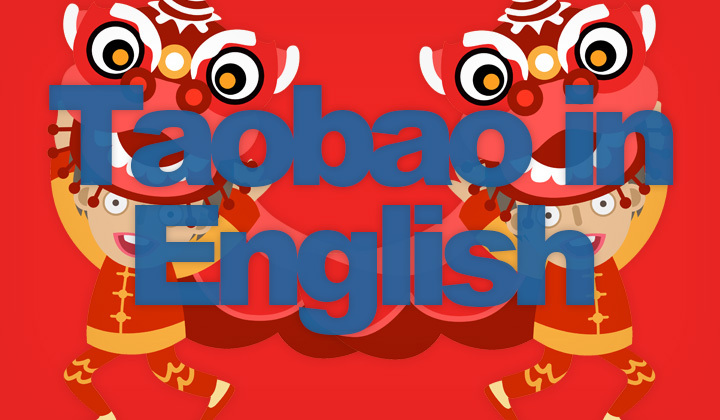 This is a developing & up-to date guide on how to buy from Taobao.com Marketplace in the English Language. Different methods are discussed. Incredible is simply an understatement when looking for that one word to describe Taobao. In China’s e-commerce universe, Taobao is at the center, and Amazon is a wasteland. This Alibaba-owned ecommerce platform is considered by consumers to be the “everything store”. They offer everything from key chains to dead bodies. It is crazy incredible. No doubt about it. Amazon took their shot by paying $74 million for Joyo.com and EBay took their shot with EachNet, but as quick as these ventures fizzled, Taobao took off with a bullet. Since China’s estimated e-commerce market is forecasted to reach $650 billion by 2020, there is no reason to expect Taobao to do anything less than gobble up market share. Market experts agree that Taobao’s success is the result of their complete understanding of the Chinese shopper and how they wish to transact business. The company has even arranged for buyers and sellers to haggle on pricing. They’ve even created an escrow service to allow buyers time to receive and inspect purchases before the transaction is completed. Their payment system, which is very similar to PayPal, allows the transaction to be debited from a Chinese bank account that eliminates the need for a financial card. It is difficult for the small business owner to fathom the size of Taobao. The company currently has over 5 billion registered users and gets over 500 million visitors to its site daily. They have created T-Mall Global to allow non-Chinese buyers and sellers to get in on the action as well. Taobao looks to Chinese entrepreneurs as a means to buy and sell products on their platform that creates successful small businesses across the country. But, not just anyone can get in on the platform. Taobao has strict requirements for authorizing dealers that enable the company to retain the trust they’ve built up with Chinese consumers. As for the future, Alibaba, Taobao’s parent company expects a 30% annual growth over the next four to five years and expectations are very high that Taobao will play a big part in that forecast. Alibaba’s chairman, Jack Ma, is spending a lot of time in the US to convince US businesses to get on board for selling US products in China. Incredible is definitely an understatement. Concerns on using Taobao.com or related Chinese shopping portals in English? — Your comments, questions & suggestions below please! Thank you for having a read, David. Please be aware that to support the work put into this blog, some but not all links are affiliated with services that they represent. Humble thank you!